Never been on skis? Haven’t skied in years? No problem! 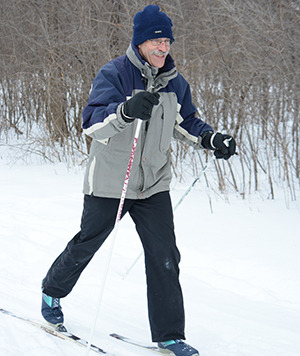 This introductory cross-country ski program is perfect for adults with little or no prior experience who want to give the sport a try. Class covers the basics of clothing, equipment and technique in a relaxed, welcoming environment. Cost: $11/person/session; $7/person/session optional ski rental.